At Electronics, Computer & Photo, equipment that every professional or enthusiast needs awaits you. Check out the marvelous Tycon Power Mounting Rail for Enclosure, which does not need any special introduction. Avoid any malfunctions, buy reliable equipment from Tycon Power Systems. Encounter the great solutions that help visionary users achieve their excellent objectives. 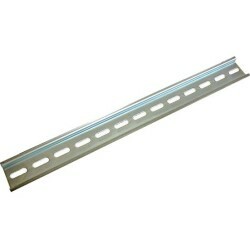 Find more intresting items and much more beyond the ordinary: Middle Atlantic Products - RRF16 - Middle Atlantic Products Mounting Rail for Rack - Steel - Black, or Middle Atlantic Products - RRF27 - Middle Atlantic Products RRF27 Mounting Rail for Rack - Steel - Black and Rack Solution - 122-2580 - Rack Solutions Mounting Rail for Server - Zinc Plated. With our captivating items we provide good offers and enjoyable shopping. You will find charming items, designed to meet the needs of modern living, and representing a wide choice. We hold the top slot in terms of products. Shop for everything you cherish, here on Neobits. Find a huge variety of similar personalized products bellow. If you have any questions, don't hesitate to contact our Customer Service department, after all, they are here for you. For a large variety and more related products, please visit other sub-categories for anything you need.